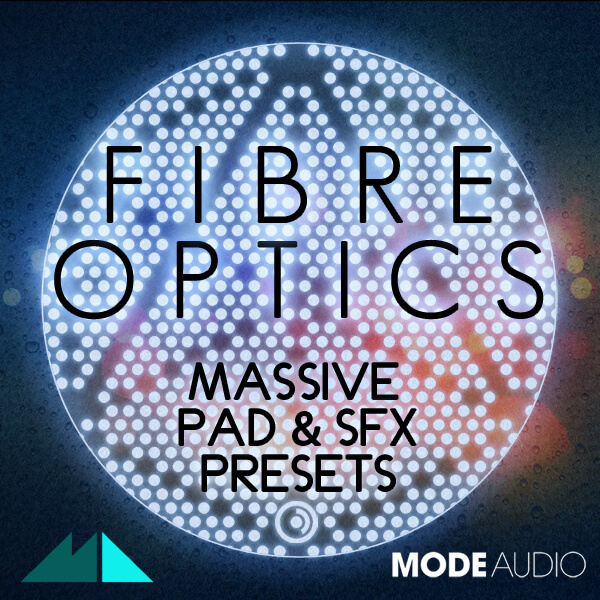 ‘Fibre Optics: Massive Pad & SFX Presets’ brings you ModeAudio’s latest sound design alchemy. Massive’s modules are turned up to overdrive in this collection, which ranges from distant, ambient smoothness to chaotic, sputtering madness! Featuring a range of useful presets for Chord sounds, Drones, Pads, Patterns and Textures (10 of each), you can be sure to find a treasure trove of colours, motions and spaces within. All 50 presets come with full macro mapping, so that you can access complex variations and tweak the sounds to your own style with a minimum of fuss. Velocity sensitive and tested across the full range of MIDI pitches, we’re sure that you’ll lose yourself in the worlds this release invokes. There are also 20 MIDI loops included for use with the Pad and Chord sounds to make auditioning a breeze. Fire up Massive and drop these presets into your latest Cinematic, Downtempo, Ambient or Industrial production and listen to the energy rising with every note! We know you’re going to love this one, so let ‘Fibre Optics: Massive Pad & SFX Presets’ show you what it’s made of!